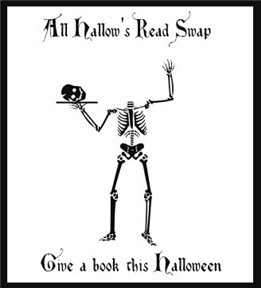 If you participated in the All Hallow's Read Swap and would like to say a thank you to your secret pal or drop a link to a post about it or just...share what you got! This is the post to do so! Ana hosted one earlier. My big huge thanks to Christina who sent me World War Z a zombie classic I really want to read and another Gillian Flynn book, and some cute fun stuff. I was so excited when I received it because it was the perfect thing to put a smile on my face in the midst of the mostly sucky month October was this year. Now...I want to hear all about everything you got!!! !